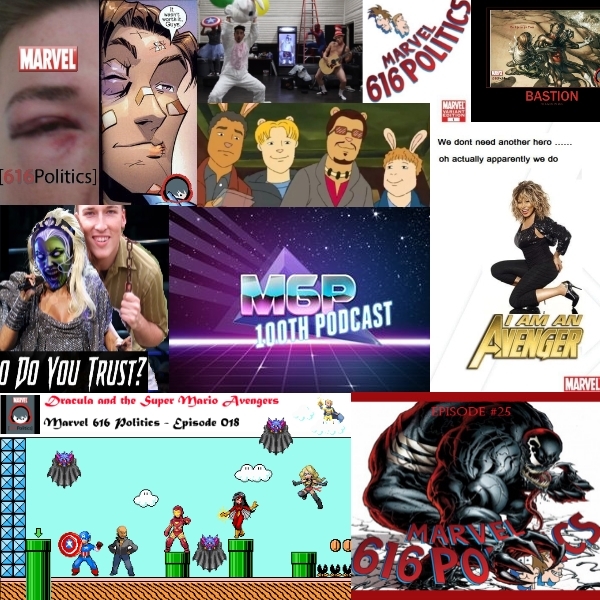 The M6P » Our 100th Episode!! We have arrived. 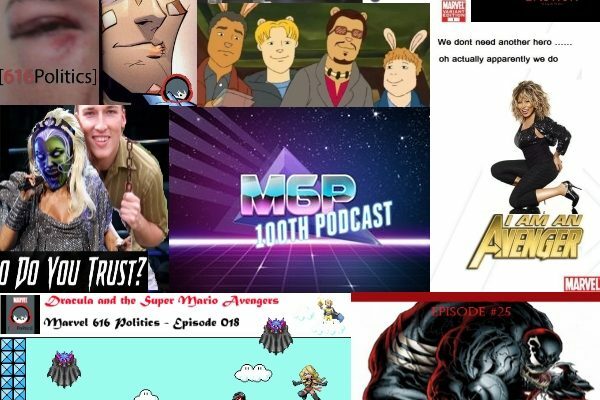 It’s been 7 long years, but now we have achieved our very own 100 episodes of Marvel goodness. Thank you all for the fun and support. We love our listeners and hope to continue to bring you many, many more episodes. You have been with us through thick and thin and have encouraged us and made us laugh. Thank you and a hardy FAAAAAANNTASTIC to you all! (Now seems like a good time to stop being all lovey-dovey!) I’m not being lovey-dovey; I’m thanking our listners! (You are pandering to the fans! I call “fan-service” on that!) Are you dense? Thanking our loyal listeners and friends is not “fan-service.” (LALALALALALALA!!! I CAN’T HEAR YOU!!! LALALALALALA!!) Oh, real mature! Good luck finding another co-host! I’ve had to put up with 100 episodes of this! Remember the time you made me act like Professor X in your amazing role-play segment?!?! Do you know the ridicule I had to endure? (LALALALALALA FINGERS IN MY EARS! FINGERS IN MY EARS!) That’s it, I’m done. So many things to be thankful for – your podcasts, the comics, the Facebook page, the humor, the insightfulness, the name dropping, too much to list! I ended up banned from Facebook (again, it’s nearly every couple months it seems), so I really couldn’t comment on the M6P page. 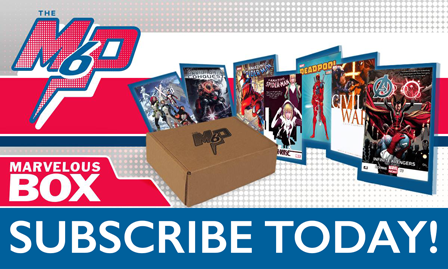 Jarid, TheAndy, you guys had me hooked since, what, 2008, and have really enjoyed vicariously taking a part in comic book discussios. It’s always been in a way that we can feel a part of, and although I never got the Tina obsession, it was your thing that made your show unique! Anyways, cheers to 100 episodes, and here’s to 100+ more!